Guest Post: “Passing” for White to Get Into Harvard? Posted on Friday, February 17th, 2012 at 10:36 am. 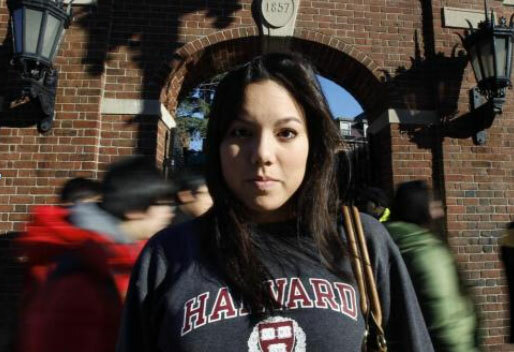 Asian Americans and Harvard University have been in the news and on my mind recently. The bigger story has been about the “Linsanity” surrounding (Harvard grad) New York Knicks player Jeremy Lin who continues to take the NBA by storm. The smaller story, though one that also made national headlines in early February, is of the recent decision by the Education Department’s Office for Civil Rights to investigate a complaint that Harvard and Princeton Universities discriminate against Asian Americans in admissions. 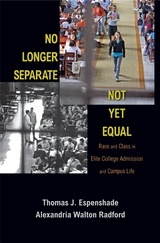 In one widely-reported study, Princeton sociologist Thomas Espenshade reviewed data at ten elite colleges in his co-authored book No Longer Separate, Not Yet Equal: Race and Class in Elite College Admission and Campus Life. He found that Asian Americans must score 140 more points than whites, 270 points more than Hispanics, and 450 points more than African Americans out of a maximum of 1600 on the math and reading sections of the SAT to have the same chance of admissions at elite colleges. To be sure, these and other findings of test score disparities are not sufficient to establish that these schools are in fact discriminating against Asian Americans in a way that would violate civil rights laws. Indeed, since official statistics from the College Board have long revealed that Asian Americans have the highest SAT scores of any racial group, we should not be surprised that Asian Americans as a group at top institutions have been outscoring their white (and other) counterparts on the SATs. Not surprisingly, officials at both Harvard and Princeton have denied that they discriminate against Asian American applicants. They’ve reiterated how competitive their admissions process is and affirmed that every applicant is assessed “holistically” on a “case-by-case” basis as they take into account a variety of factors. I’ll leave it to the Office for Civil Rights to complete its investigation before I render judgment on the existence of any such “Asian [glass] ceiling” or quota. In the interest of full disclosure, I should note that I am an alumnus of Harvard University (Ph.D. 2003) who has since Fall 2011 been volunteering my time interviewing applicants for undergraduate admissions to the College. Still, my interest in withholding judgment until the facts come in has more to do with prudence, in a “boy who cried wolf” kind of way, than any desire to avoid tarnishing Harvard’s (or Princeton’s) reputation. What I’ve discovered since that story first broke is that growing numbers of Asian Americans are not taking a “wait and see” approach about whether elite colleges are discriminating against Asian Americans on account of their race, but have increasingly been acting under the assumption that they have been and still are. “Passing” for the Sake of College Admissions? I have had multiple layers of reactions to these stories. Initially, I imaginatively placed myself back into my high school senior self and thought that I could not even have fathomed concealing my Taiwanese American heritage as a college applications strategy. It’s not just that I could never have gotten away with it—as a name like “Grace Yia-Hei Kao” doesn’t exactly scream either ethnic ambiguity or Caucasian—it’s that it would have felt so desperate, dishonest, and disrespectful to have done so. So in those first moments, I was simply aghast that friends, parents, and even high school guidance counselors (if these blogs and articles are to believed) are apparently now encouraging some high schoolers either to avoid disclosing their Asian racial-ethnic identities or attempt to “pass” as white for the purposes of admissions. I also wanted to know what else Asian kids were being encouraged to do. Explicitly ask their teachers to avoid mentioning their race or ethnicity in their letters of recommendation? Hide their leadership in any race- or ethnic-specific activities or organizations? Better yet, avoid getting involved in them in the first place so that no one would have to lie (e.g., in my case, that would have involved switching to a white church instead of the Taiwanese American one in which I was raised)? 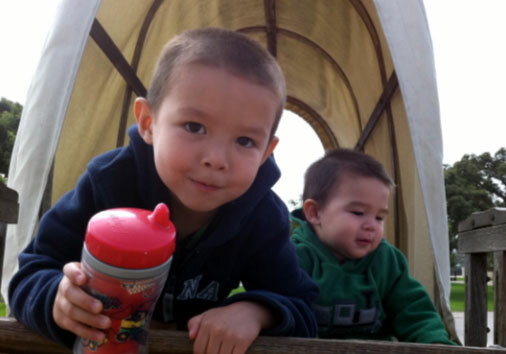 After realizing that I had applied to college more than twenty years ago and that admissions to top colleges have since become even more selective, my next thoughts quickly turned to my two hapa (i.e., half-Asian) boys (ages 2 and 4). Still, my horror didn’t abate. Instead, I became pained at the prospect of them trying to “pass” as white for any real or perceived competitive gain. Both my (Caucasian) husband and I don’t want our children to go to a top college (or to any college, for that matter) if that means that they must lie (by omission) about who they really are in order to get in. In fact, my husband and I deliberately gave our boys Chinese middle names so that they would be recognized even on paper as Taiwanese/Chinese and so they couldn’t be mistaken as only white. To be clear, they have English first and last names (Preston Walker and Keenan Walker), but everyone regularly calls them by their nicknames—“PJ” (which stands for Preston Jia-Ying) and “KC” (which stands for Keenan Chuan-Sheng). We figured that even if PJ and KC someday tell others to call them by their (formal) first names, they would still have spent a lifetime explaining to their peers what the “J” or “C” in their nicknames, respectively, stands for and means. There is much more that I could say about this topic. I’ll close by reiterating the feelings of sadness and shock I still feel about this all and then by commenting upon one more emotion I have—relief—that I’m surrounded by family and friends who would never pressure my boys to deny who they really are racially out of any (mistaken or real) prospect of competitive gain. Grace Yia-Hei Kao is Associate Professor of Ethics at Claremont School of Theology in the Claremont Lincoln University Consortium. 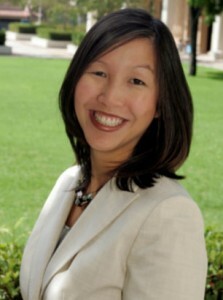 She is the author of Grounding Human Rights in a Pluralist World (Georgetown University Press, 2011) and is working on a second book manuscript on Asian American Christian Ethics. This blog is cross-posted at Feminism and Religion and an earlier version appeared in SUBTLE magazine. Grace, I hope you had read the article that Lanya was featured in more carefully. She did not conceal or deny her Taiwanese heritage. She simply listed White on the common app system and then identified herself as “mixed” under the white category. There is no “mixed” category in the race category of the application. Would you rather have your two children check “Asian” and deny the other half of their identities? I explained to her the evident admission situation in the Ivy League and asked her to make her decision in the race category. She chose White with the additional info about being a mixed. I hope this gives a better background to your assumptions of how I or my daughter might have denied our heritage, which we are very proud of. My husband is adopted and we do not know his background. We were told Hispanic and Asian descent by word of mouth. Your boys look alot like my son.